Life as Pink Einstein | Dallas Fashion and Lifestyle Blogger: Pumpkin Picking! I went to the pumpkin patch last week and I would have loved to share pictures with you earlier but I haven't had wifi. Our wifi is fixed now so I can go back to my normal blogging schedule. But we had a great time finding the perfect pumpkins. My little sister also had a lot of fun being my photographer in public which was good because she got a lot of really great pictures. I hope you enjoy! 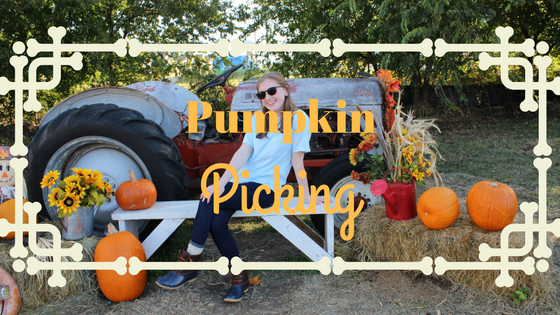 To the pumpkin patch I wore my Lily Grace shirt, jeans, and duck boots. The pumpkin patch had so many cute places to take pictures! I thought this scarecrow was cute, he had a jack-o-lantern for a head!